Our own extensive 360° feedback data, which we’ve gathered from just under 50,000 leaders who have been assessed by approximately a half-million colleagues, strongly confirms the importance of inspiring leadership. Of the 16 leadership competencies we most frequently measure, it is clearly the one that stands out. In our data, the ability to inspire creates the highest levels of employee engagement and commitment. It is what most powerfully separates the most effective leaders from the average and least-effective leaders. 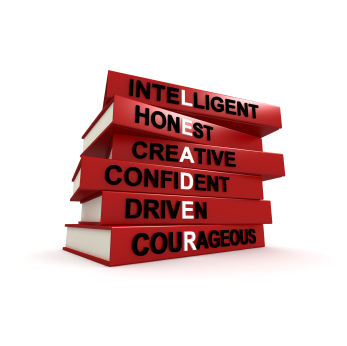 And it is the factor most subordinates identify when asked what they would most like to have in their leader. Yet, when you talk with leaders who want to be more inspiring, you often get a deer-in-the-headlights reaction. They simply do not know what to do. What inspiring leaders do. To address this question we engaged in what some might refer to as a reverse-engineering exercise. We went into our database and looked for those leaders who received the highest scores on the competency of “inspires and motivates to high performance.” We found 1,000 such leaders and then analyzed what they did that separated them from their less-inspiring counterparts. Some of what they did was specific and tangible. For example, they set stretch goals with their team. They spent time developing their subordinates. They engaged in highly collaborative behavior. They encouraged those about them to be more innovative. Other things we identified were somewhat less specific and less tangible. These inspirational leaders were more adept at making emotional connections with their subordinates, for instance. They were better at establishing a clear vision. They were more effective in their communication and willing to spend more time communicating. They were ardent champions of change. They were perceived as effective role models within the organization. Our data send a clear message: In this case, more is more. That is, the more of these behaviors a leader exhibited, the more inspirational that leader is perceived to be. How they go about it. We next turned our attention from what these inspiring leaders did to the manner in which they did it. We’ve found that many leaders equate being inspirational with being enthusiastic and outgoing, and that can be so, but we also found that leaders could take any number of other approaches that didn’t necessarily require them to be extraverted. That is, a leader could be inspirational in setting a stretch goal, say, in a number of different ways. She could, for instance, do it by creating a compelling vision (which we dubbed, unsurprisingly, as the “visionary” approach). Alternatively, she could meet with team members and have them, collectively, set the goal (taking what we call an “enhancing” approach.). Another inspiring leader might set stretch goals by tossing out a challenge to the group and setting a specific deadline by which to make it (taking a “driver” approach). Or maybe he encouraged the team to find an ethical goal that focused on the organization’s mission (in which case he took the “principled” route). Yet another of the inspiring leaders might have convened a meeting and delivered a classic half-time locker room speech to set the goal (which we think of as the classical “enthusiast” style) , or finally, he might take the “expert” route and interview team members to determine what skills each might best contribute to the effort. Inspirational leaders might apply these different approaches to any of their leadership responsibilities, taking, for instance, a visionary approach to championing change by painting a compelling vision of a future in which the company was implementing a new strategy or taking an enhancing approach by encouraging team members to develop an innovative strategy together. Similarly, a leader could go about producing peak results by painting an exciting vision of the future or by marshaling the enthusiasm of the team to aspire to a higher goal. Although merely 3% took the expert approach, perhaps more surprising is that only 12% went the enthusiast route. Each approach was equally effective, our data indicate, but leaders who were able to master multiple approaches did significantly increase their effectiveness. Learning to be Inspirational. Finally, we turned our attention to the question of whether leaders could learn to become more inspiring. To find out we did another study of 882 executives from data collected over the last three years, who were measured on the 16 different competencies and encouraged to focus efforts on improving one of them. Focusing on the 310 who chose to improve their ability to inspire others we found that as a group they made impressive strides — moving from the 42nd percentile (that is, below average) to the 70th percentile. This is a statistically significant positive gain, and compelling evidence that when leaders use the right approach they can learn to become more inspiring. In other words, with awareness, good feedback, and a plan of development, leaders are able to improve this most important of all leadership competencies.